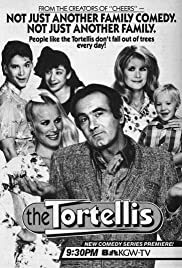 Nick Tortelli, the loutish ex-husband of Cheers waitress Carla Tortelli, moves to Las Vegas to try and reconcile with his bimbo second wife Loretta, who now lives with her more sensible, divorced sister Charlotte and nephew Mark. I remember when I was 17 this show debuting after a Cheers episode. The funny thing was that I had missed all the Nick Tortelli shows prior to seeing this, so I had no idea why Carla appeared in the beginning of the pilot to tell Nick to clean his act up in an odd dream sequence. Since I didn't see Nick or Loretta or their kids, I just thought they were vile and unfunny -- now when I watch the Nick episodes in "Cheers", they're all a scream. Maybe someday someone will re-air the episodes so I can watch it with the background intact.